A huge sculpture, made of 100,000 confiscated knives, has arrived in Coventry as the city comes together to tackle knife crime. The 27-foot high Knife Angel, created by artist Alfie Bradley as employed and commissioned by the British Ironwork Centre in Oswestry, Shropshire, has been installed at Coventry Cathedral where it will stand until 23rd April as a physical reminder of the effects of violence and aggression. The structure was previously in Liverpool and Hull. 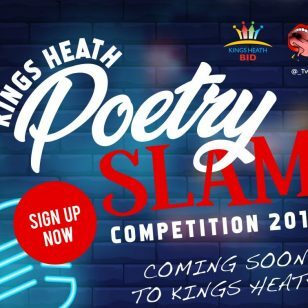 The scheme locally is being supported by the Coventry City of Culture Trust, Coventry Cathedral, Coventry City Council, Coventry Police and the European City of Sport 2019 initiative. Both the City of Culture Trust and Cathedral will work with partners across the city to deliver a programme of activity around the Knife Angel to ensure it has the most meaningful and lasting impact. 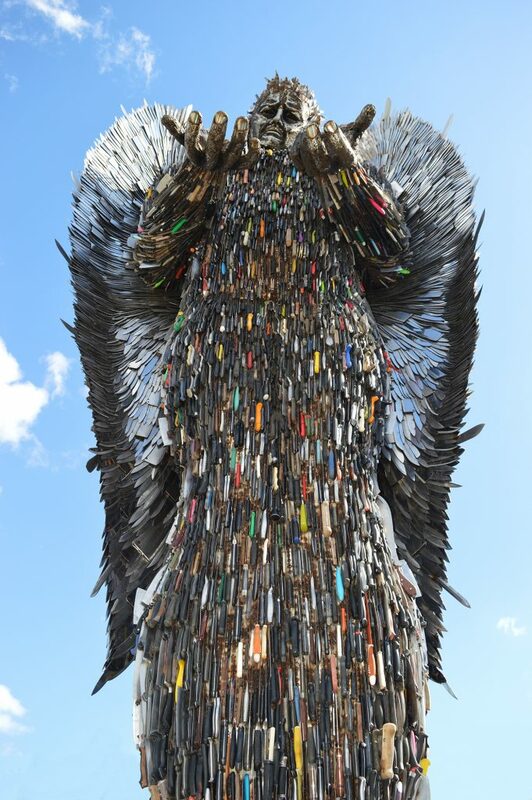 It took four years to build the Knife Angel after permission was granted by the Home Office to British Ironwork Centre to collect the weapons at knife banks from police force areas across the country. It was created in response to the growing issue of knife crime in cities across the UK. Coventry Cathedral is no stranger to pain and destruction so it seems fitting that the Knife Angel should stand beside our own guardian, St Michael, and help us to gather our thoughts and longings for peace in our city. Just before Christmas we hosted the funeral for Jaydon James, one of the city’s own victims of knife crime, and even in that dark time we dared to speak of hope for a better tomorrow. In making something beautiful from the ugliness and violence of the knives Alfie Bradley follows a pattern that is part of the Cathedral’s own DNA – using the pain of the past to build something brighter and stronger – a peaceful future. We have all seen the devastating effects that knife crime is having on communities right across the UK, including in our city of Coventry. A range of organisations across the city are already working together to tackle this issue and we should use the opportunity of having the Knife Angel in Coventry as a way of widening the conversation and making sure we work with our younger communities to create a safer city and to encourage peace and create greater hope. For us, being UK City of Culture in 2021 has to be about more than hosting a fantastic festival of arts and culture – of course, that is a big part of it – but equally we want our programme to have a strong social conscience and to connect our work with the everyday issues that our neighbours are having to deal with. We will explore the role that culture and creativity can have in bringing about very real, long term social change in the city. 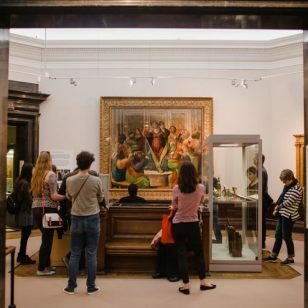 Powerful works of art, such as the Knife Angel – a work of national significance – have a way of provoking some of those very difficult conversations that need to be had. Knife crime and violence is devastating in every conceivable way and, here in Coventry, it’s being felt across all of our communities. We all have a role in bringing about change. We need to be doing much more to help young people get through these complicated and uncertain times. 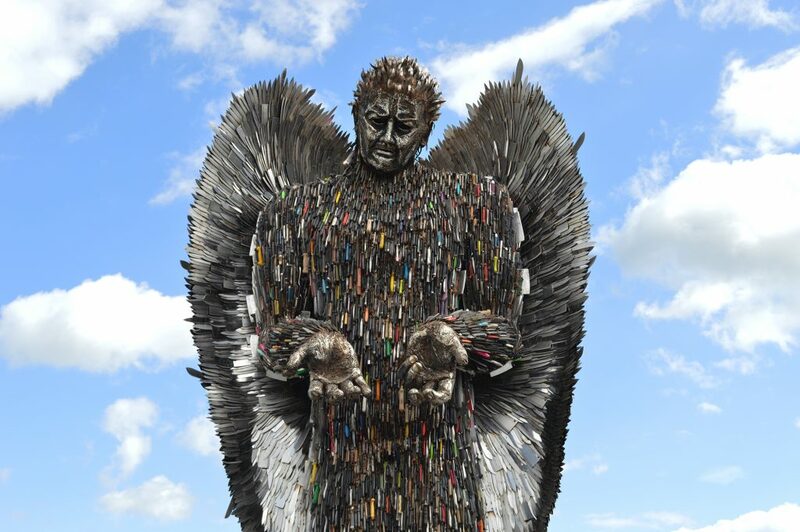 “The Knife Angel is a powerful, emotive visualisation of the devastating impact knife crime has on young lives, families and communities – and that devastation is something we’ve seen too often in recent months in the city. Violent crime in Coventry, particularly knife crime, has been made a West Midlands Police force priority. It means we can tap into extra police resources to help tackle the issue and run more operations aimed at catching offenders and safeguarding young people. We need to drive out that culture of people feeling comfortable carrying knives or feel the need to carry knives for their protection. But tackling the root cause of knife crime is everyone’s responsibility, not just the police: we can’t arrest our way out of this problem. We need parents to speak to their children – they should know where they are and who they are mixing with – and challenge them if they have suspicions over their behaviour.